Joe Liu, CEO of Mivatek Smart Connect that produces a number of devices to facilitate the “Aging-in-place” trend; that is, to help seniors and elderly people live at home longer, rather than moving to a nursing home or assisted living facility joins eHealth Radio and the Health News and Senior Care & Technology Channels. What is aging in place? How prevalent is this trend and why is it preferable to moving to a nursing home or assisted living facility? What are some of the ways that technology has helped allow seniors to live at home longer, independently and safely? Can you please tell us about some of the specific devices that play a part in the aging-in-place trend (i.e., sensors, activity tracking systems, medication alerts, etc.)? This technology helps the senior who is aging in place at home, but how does it also benefit the caregiver, whether it is an adult child caring for the parent or a nursing/medical professional? What are some of the future developments on the horizon regarding aging-in-place technology? 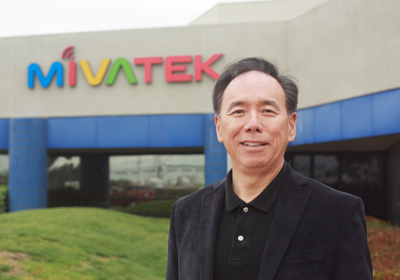 Joe Liu leads the strategy and operations at Mivatek Smart Connect. Liu has a rich history of entrepreneurial and engineering experience. Prior to launching Mivatek Smart Connect, Liu co-founded and led Oplink Communications, Inc., an optical network manufacturer. When Koch Industries/Molex acquired Oplink Communications in 2014, Liu led a team of investors and purchased the Oplink Connected portfolio back from Koch/Molex, and used this technology to power Mivatek solutions. In his career, Liu has also served in various roles at companies including Mostek Semiconductor, Motorola Semiconductor, and National Semi. Liu holds a Master of Science degree in Industrial Engineering from California State University, Chico.